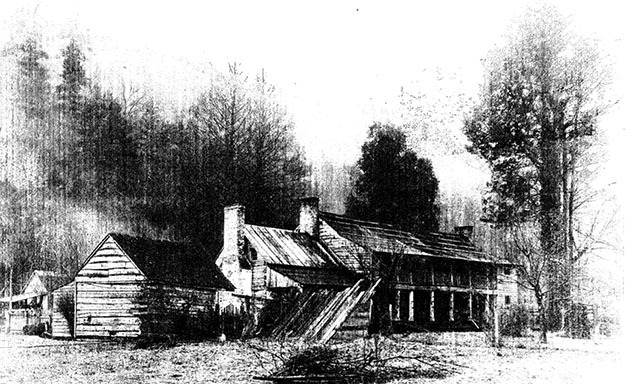 In the mid-1700s Reuben Allen built a log house in the mountains of Cocke County that would eventually grow into first the Allen Inn and later the Wolf Creek Inn. The inn became the terminal of the East Tennessee, Virginia, and Georgia Railroad in 1867; passengers would then travel by stagecoach to Hot Springs and Asheville. Many notable personages, including several United States presidents, spent the night at this famous inn. 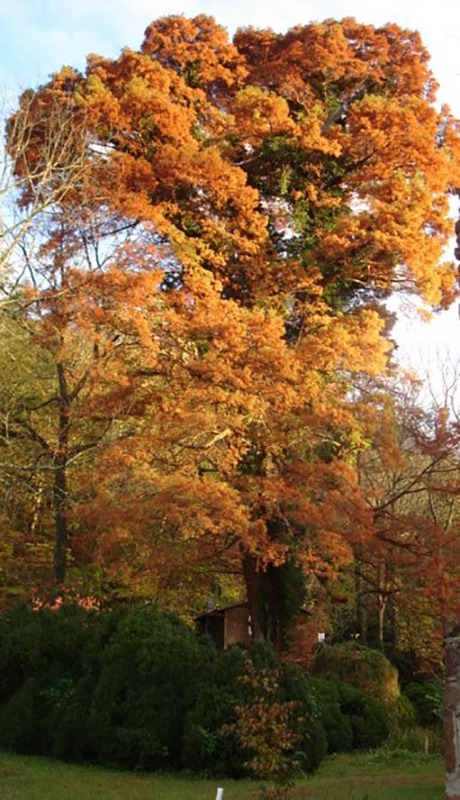 The bald cypress next to the original inn was brought from Arkansas for the 1857 funeral of Reuben Allen and became part of the extensive gardens around the inn. The tree stands 105 feet tall, six feet in diameter, and has a crown spread of 70 feet.